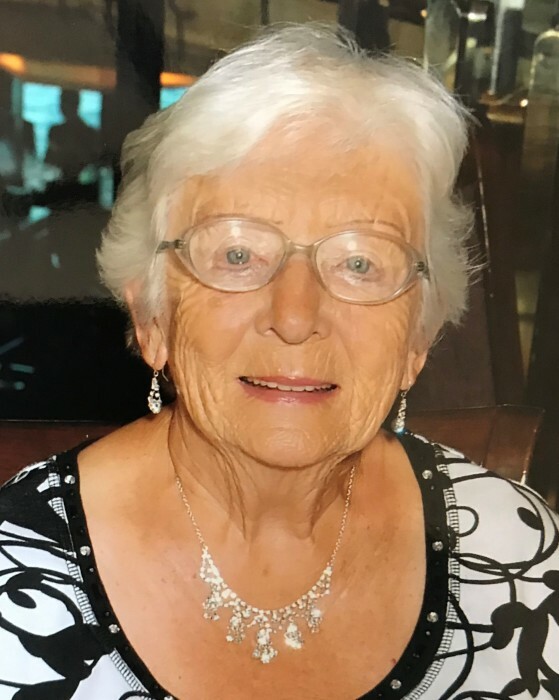 Beloved Christel ‘Oma’ Deiters passed peacefully in her sleep on 20 November 2018, at the young age of 88. Oma was born Christiana Sybille Dickmanns in the beautiful small town of Schermbeck, Germany in 1930. She was the middle child in a family of thirteen kids. She loved being part of a big family and raised most of her younger siblings after her mother died. Her young life was spent raising and protecting them during the horrors of WW II. She survived the war to fall in love with her childhood sweetheart, Kurt Deiters, and they were married in 1955, in their hometown. The newlyweds immigrated to the United States in 1956 on a ship named ‘Berlin’ after being recruited by Dr. Scholl’s Shoe Company. They started the American chapter of life in New York, but soon moved to Chicago where they raised two sons, Markus and Jeffery. They moved from Chicago to a small lakeside cottage in Wisconsin after both sons graduated from the U.S. Air Force Academy in 1983 and 1985, respectively. The cottage was hand built by Kurt and her two sons, and became Oma’s paradise on earth. She loved everything about it and lived there until after Kurt’s death in 2001. She moved to Niceville, Florida to live with Markus and his family in 2003. Oma found great joy in the outdoors. She loved to read outside by the lake or on her deck. She was always working in the yard, planting and pruning. She loved to knit and needlework and taught her granddaughters. When she was young, she loved to travel and go camping with her family and later on in life she loved to go on cruises. She visited her family in Germany almost every year. But her greatest joy and love was being with her family, especially her four grandkids. She would visit them as often as possible and helped to raise everyone of them into the special adults they are today. She would always spend enormous amounts of time with them, playing and helping them in everything. They were her world, and she was theirs! Christel was one of the sweetest, nicest and most positive people that you will ever meet in your life. She was the kind of person that everyone wants to be. We will always miss you, Oma, but we know that you will be with us spiritually. You are God’s newest sweet angel.